With a venerable origin from the Italian conoscere and Latin cognoscere—to know, see—cognoscente conjures images of ancient Greece and Rome. 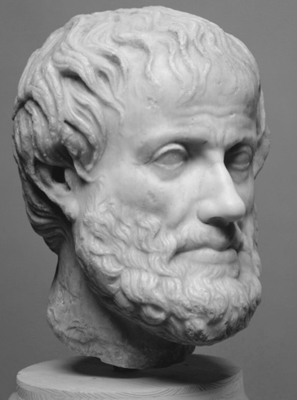 Its Italian and Latin proliferations gave us such “seers” and philosophers as Seneca (4 BCE – 65 CE), Boethius (472 – 524 CE), Plato (428/427 or 424/423 – 348/347 BCE, and the celebrated Aristotle (384–322 BCE). Although arts may refine a cognoscente, passion in any sphere enhances one’s definition. Which brings me to … cogito ero sum (Latin): I think, therefore I exist: from the early certainty of Descartes. Now there was a cognoscente. Descartes created his special knowledge of understanding human nature by eschewing the past and starting over. We say we’re going to do that every New Year’s Eve. But a new beginning isn’t just about relocating or shedding bad habits. Start first, with a cleansing of body, mind, spirit and soul.Then follow your heart and trust your intuition. Don’t know where to start? Meet the philosophers … read their works … ask yourself how you can embrace their wisdom to remove the waste of the past and forge the steel of your future as a cognoscente. Word Challenge: COGNOSCENTE. Start this New Year by discarding what hasn’t worked and look inside for what will, as you fit cognoscente into your week of philosophical writings.